Whether you are looking to buy, rent, sell or even build, you can be confident that BGL can fulfil your requirements through our comprehensive dedication understanding of the industry, market and the wide range of properties that we are working on. 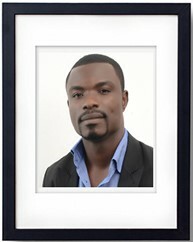 Dr. Albert Ahenkan is a Senior Lecturer in the Dept. of Public Administration, University of Ghana Business School. He obtained his PhD from the VrijeUniversiteit Brussel (VUB), Belgium in 2011. His areas of expertise include sustainable development, environmental management, public administration, public policy, and project management. He teaches both undergraduate and graduate level courses including sustainable development, environmental management, financing climate change, climate change policies and legal frameworks. His professional experience spans across the NGOs and the academia. Ahenkan has consulted for a number of organizations including Ministry of Lands and Natural Resources, Ministry of Environment, Science and Technology (MEST), Ministry of Finance Government of the Flemish community of Belgium, World Bank, GIZ, FAO, CIDA, EPA, and NEPAD Johannesburg etc. He is the World Bank local consultant for the development of Ghana’s Multi-Sectoral investment framework for Climate and Disaster Risk Management. He has initiated and managed a good number of development projects on poverty reduction, climate change, food security, environmental management, forest resources creation, water and sanitation in Ghana. He has over the years participated and presented a number of papers in international conferences including international conference and regular participant of the European Development Days in Brussels, Belgium in between 2009-2011. 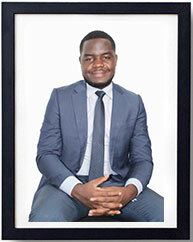 His passion in development has made him to join BROW-LAND (GH) LTD. He is now one of the directors of the company and the Board Chair helping in facilitating the company’s operations. Rowland Baffoe-Boateng is the founder and CEO of BGL Realty, a highly motivated and self-engaging young gentleman with strong commitment to project and property management. He started his professional practice as a construction Technician with CTC I & II and HND in Building Technology from the Takoradi Technical University between 2004–2009. He then obtained an advanced diploma in Quantity surveying, Construction Management with Law Principles from City and Guilds-London. Because Rowland was passionate in the industry, he proceeded to the Kwame Nkrumah University of Science and Technology where he obtained BSc in Construction Management in 2012. Few years after, he decided to enter the real estate front, he had the opportunity with the University College of Estate Management – UK where he read Property Management, Real Estate investment & Marketing and Property Valuation. Rowland also has a three-year working experience with Metropolitan Insurance Company, now Hollard as an Insurance Representative where he gained great marketing, negotiation and communication skills. 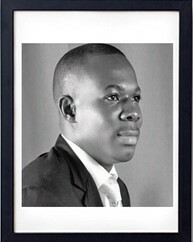 He has also worked as quantity survey assistant at the department of urban roads sekondi –Takoradi, Site supervisor at Architectural Team-4 – Takoradi, Project and property Manager at Jorbies Real Estates-Accra, Project Manager at Diverse Capital-Tarkwa and as a Draughtsman at Town and Country planning-Asamankese. With eight years working in the industry, he has worked on numerous projects across the country. He has certificates in Leadership and Negotiation from the North Western University and currently pursuing Project Management Professional (PMP) with the Project Management Institute (PMI). Judith Ama Asmah is a highly motivated young Lady who has much experience in Banking and Finance. She holds HND and a Bachelor’s degree in Business Administration from the Kwame Nkrumah University of Science and Technology with other certificates in accounting related fields. With (7) years in banking and finance, she uses her expertise in managing and advising on financial issues of BGL Realty. She believes that organizations can minimize cost when management spends within its budget. She has over the years worked as a teller, operations and management. 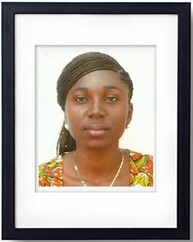 She has worked in most banks in the country but now with Ahanataman Rural Bank-Takoradi. Judith has the passion and zeal in real development. 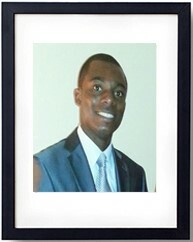 Daniel Balokah is a very enthusiastic and dynamic young gentleman who has much experience in sales and marketing. With over ten (10) years of salesmanship, Daniel Balokah believes that everything is saleable. He has a diverse background of sales in the sale of many products from the shop floor of a supermarket to selling heavy duty machines. He has a portfolio of different managerial positions in different multinational companies. 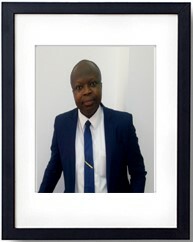 Mr. Isaac Asamoah is an experienced professional in the banking industry. 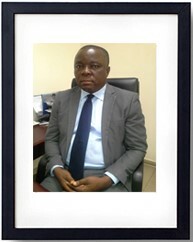 He has worked with the UBA Ghana LTD (United Bank for Africa), CAL Bank LTD, Baduman Rural Bank LTD, Beige Capital LTD, in various capacities including Head of Region, Head of Cluster of Branches, Head of Branch Business and Operations, in handling both corporate and retail businesses and Trade Businesses. He has special expertise in Business Development especially working with the Public Sector. Isaac has attended many development programs both locally and abroad as part of his personal development in the Banking Industry. He has also managed a lot of clients including Financial Institutions, Oil and Gas Companies, Insurance Companies, Public Sector Institutions, in both Corporate and Retail Business transactions. Currently he supervises a whole region with staff strength of over 350 as a Head of Region at Beige Capital. In all situations he has performed creditably exceeding his performance targets, both in business development, profitability and more importantly compliance with policies, procedures and regulations. Roles played by Mr. Asamoah over the years include Relationship Management, New Business Development, Credit Processing, Operations Management, Staff Management, Balance Score Card Management, Senior Management Committee Meeting, and Mentor for Management Trainees, Loans Review Committee Member, and New Products Development Committee Member. He also led in the aggressive Sales and Marketing of the products and Services of the Banks. His dynamic commitment has propelled him to become an Executive Member of BROW-LAND (GH) Limited spearheading all investor negotiations and investment decisions. Vera Nana Fokuo is a Nurse by profession. She has practiced in the profession over the years after graduating from the University of Ghana – Legon. She has worked at the Korle- Bu Teaching Hospital, Holy Family Hospital-Brekum, Ridge General Hospital, University of Ghana Hospital, Accra Psychiatric Hospital and Sogakofe District Hospital. Vera has the passion for Habitation and always strives to help people in securing a better place of living. She has a strong interest in real development even though her profession is not in the property industry; she enjoys being part of a team in real development. She is General secretory of BROW-LAND (GH) LTD.
Mrs. Mabel Afryie-A is a self-motivated professional with expertise in administrative management. Graduating with a BA Honors in Business Management from the Valley View University, Ghana, in 2015, she believes that in every organization effective governance starts from the administrative office where proper records keeping are essential. After graduating, she has worked with some institutions like the Ghana Atomic Energy Commission as an administrator. 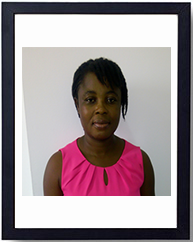 Because Mabel has the passion in organizing and managing people, she is the administrative and human resource manager at BGL Realty where she oversees all issues concerning administration and Human resource. 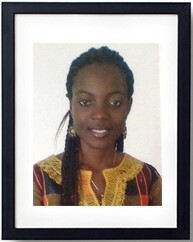 She is currently pursuing her Master’s Degree in Human Resources Management at the University of Ghana Business School. Her areas of expertise include business management, human resource and project management. Stephen Kofi Diko holds a Master’s degree in Community Planning and a Graduate Certificate in Geographic Information Science from the University of Cincinnati, Ohio in USA. Stephen is currently working on his PhD at the University of Cincinnati focusing on Sustainable Urbanism (cities), City / community imaging and visions and plan making. Anita Owusua is a young procurement professional motivated by what she does using her own initiative to solve problems whiles considering the opinions of others. She is able to communicate effectively with people at all levels and have excellent communication skills. She has a responsible and mature approach to work and easily adapt to new situations. She has obtained a Degree in Procurement Management from GIMPA, H.N.D Purchasing and Supply from Takoradi Technical University. She has worked with Ministry of Defense, Burma Camp, Base Supply Depot, Petroleum Oil and Lubricant as a Clerk, Jorbies Ghana Ltd – Asamankese as a Marketing Assistant. She then moved to the University of Ghana Hospital – Legon where she became a Stores Assistant managing Logistics in accordance with the hospitals operations. 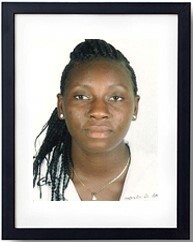 She is currently working with Brow-Land Ghana Limited as a Procurement Manager. Her duties as a procurement Manager includes placing orders with suppliers, assessing and advising management on all procurement issues on both projects and office equipment. Joycelyn Edna Yob is a versatile lady who has much interest in management, administration and development. She started her career at St. Monica’s Senior High School and proceeded to University for development studies where she obtained a Bachelor of Arts degree in Integrated Community Development. The courses studied at the university were more about research and finding solutions to issues in the community. Much was concentrated on building schools, markets, construction of roads, community centers and bore holes. All this made her gain a keen interest in estate development. She has worked with Effiduase District Assembly Department of Community Development as a secretary, Ghana AIDS commission as a data analyst and BY foundation as an administrative assistant. Though she does not have a real estate background, her knowledge in development has propelled her to join the BGL team where she manages the administrative department. Joycelyn aspires to be a very renowned administrative consultant in the near future. A young graduate with strong marketing and negotiation skills from the University of Ghana. Christopher believes that organizations can maximize their sales portfolio by understanding the demand of clients and making efforts to meet them. Working in the sales environment over the years, Christopher demonstrates a strong problem-solving capability which is mostly used to mitigate organizational issues which sterns from within. He is pragmatic and a self-motivated young man who works to help achieve objectives set by management for the organization. This skill was natured during his time with CBC properties, Barclays bank Ghana and Radio Universe. He is now Head of Marketing and sales at BGL Realty where he spearheads the day to day leads for the company’s projects. He aspires to be a very renowned Real estate Brooker in future.